2 Girls Who Travel are no strangers to a good burger and will travel to get it – thinking back to our Chicago trip and our visit to Seven Lions. Talk about a good burger! But when we are home in Houston and want a good burger, there are certainly no lack of great burger joints. We recently tried new Houston Heights fav Balls Out Burger. They offer a simplistic menu – hamburger or cheeseburger (single or double patty), toppings (bacon, jalapeño, lettuce, pickle, onion and tomato) french fries (shoe string, hand cut or sweet potato), milkshakes and wine and Saint Arnold’s beer. Oh and a veggie burger option, too. This is it! Honestly, we’re not opposed to keeping it simple – especially if it’s good! We had the single patty cheeseburger with bacon. The bacon was thick cut, crispy and cooked well. The cheeseburger was seasoned well and juicy. We opted for the hand-cut fries and must say they were a tasty addition to the meal. Added a cold coke and we were in business! 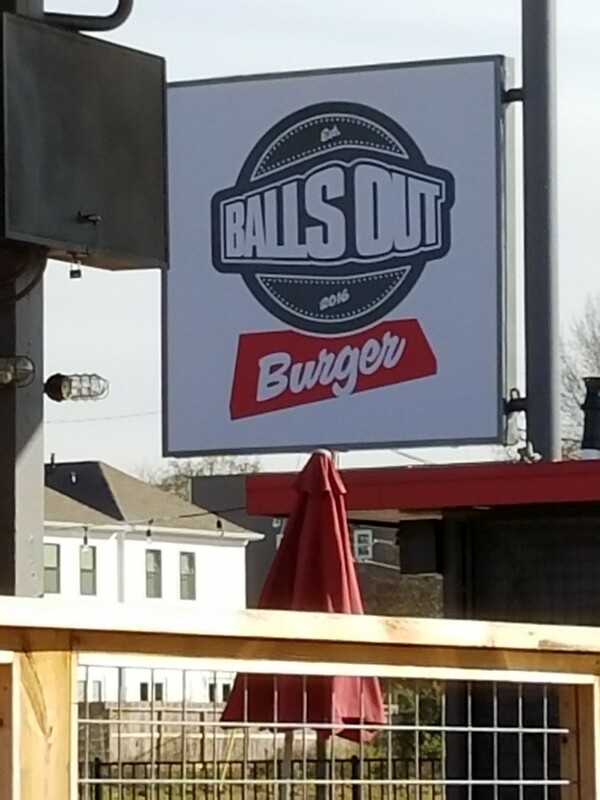 Balls Out Burger has a winning formula! Plus they believe in eating and drinking local. The burger patties are from 44 Farms, the buns are from Slow Dough Bakery, the ice cream for the shakes is from Amy’s Ice Creams and the beer is from Saint Arnold Brewery. 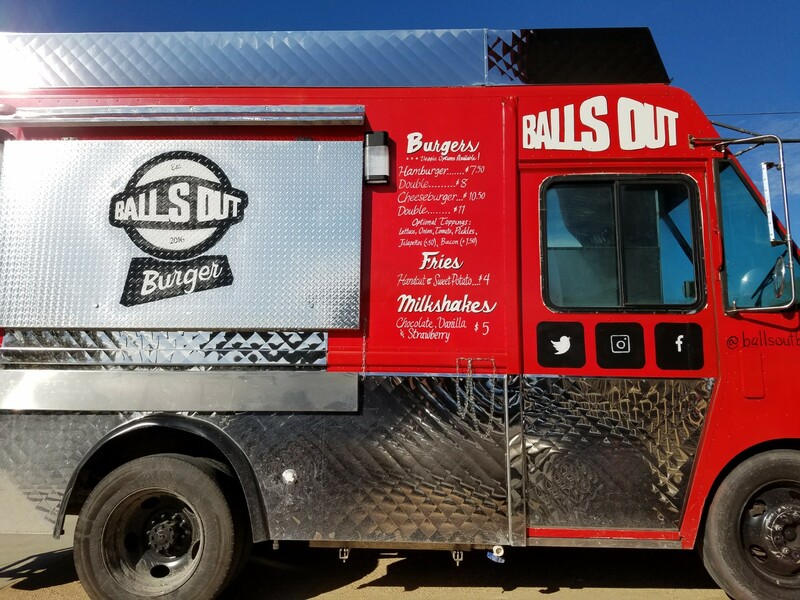 Balls Out Burger even has a new food truck! We can’t wait for it to hit the streets! 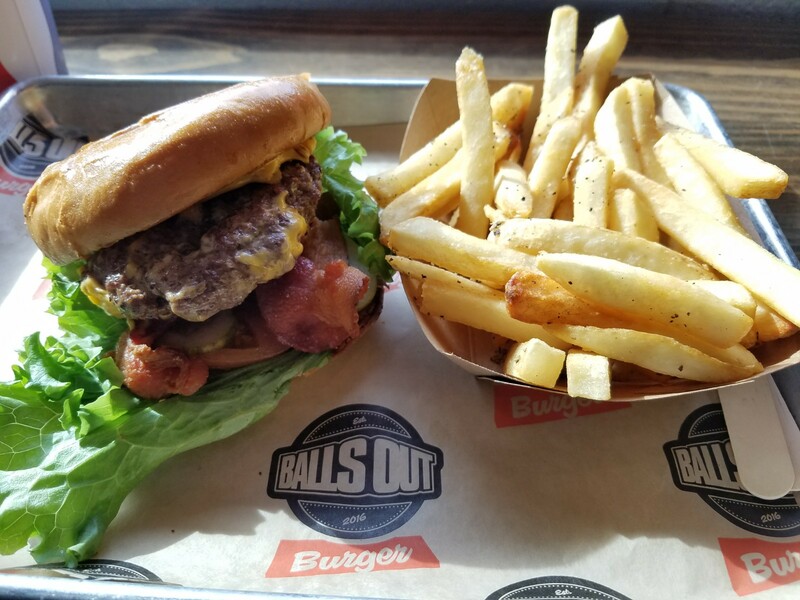 Follow @ballsoutburger on Facebook, Instagram and Twitter to know where to meet them. 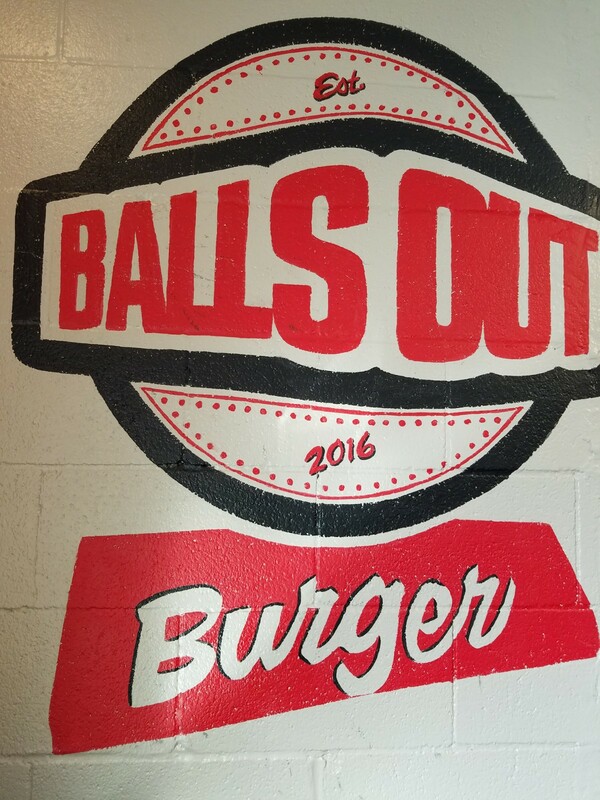 Balls Out Burger gets the 2 Girls Who Travel seal of approval! Visit them in the Heights at 1603 N. Durham Dr., Houston, TX 77008. Previous postThe Great Xscape Tour: They’re Still Kickin’ It!